We know what it’s like to do this whole “woman entrepreneur” thing alone. We know what it’s like to try and not see results. We know what it’s like not being able to get clients. We know how awful it is when you’re not making money. We know how overwhelming and confusing starting, running and growing a business can be. And, we also know what it’s like to have a passion and freedom based online business making real money and helping real people create a lifestyle business with more clients, cash and flexibility too! We believe you don’t have to do it alone and when you learn how to use the internet as your office you’ll create the freedom and money you really want. We’ve created a community, a tribe, a place for women coaches, consultants and service-based entrepreneurs to learn how to grow an online business on their terms. 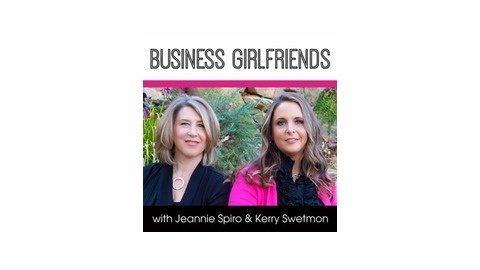 Whether you’re just getting started or have been at this for a while, consider us your Business Girlfriends! Join us at www.businessgirlfriendsonline.com to receive your free copy of "3 Simple Strategies to Attract More Clients Online." Whether true or not, people form a perception of who we are and what we represent by the self-confidence that we show. Particularly in business. In this episode, award winning presentation skills trainer Cindy Ashton shares how to reject the old model of posing and gesturing that turns people into robots. 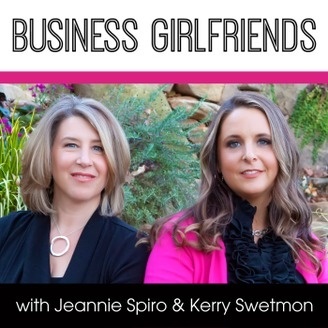 You'll learn tips for how to unleash your natural magnetism and connect authentically to build fruitful relationships.